The preparations for INTERSCHUTZ 2015, the international exhibition for fire prevention, disaster relief, rescue, safety and security, are well under way. Around 1,300 exhibitors from more than 40 countries will be presenting their products and services at the event, which runs from 8 – 13 June. Now only 112 days away, INTERSCHUTZ will occupy five halls and an open-air site at the Hannover Exhibition Grounds. The event is organized by Deutsche Messe with the support of the German Association for Fire Prevention (Vereinigung zur Förderung des Deutschen Brandschutzes), the German Fire Brigade Association (Deutsche Feuerwehrverband e. V.) and the German Engineering Federation (Verband Deutscher Maschinen- und Anlagenbau e. V.). About a hundred members of fire departments, rescue services and disaster relief organizations are calling attention to the upcoming mega-event by means of a video clip in the spirit of: “We’ll be there! What about you?” The clip is a spontaneous idea designed to motivate professionals from around the globe to come and be part of the action in Hannover. 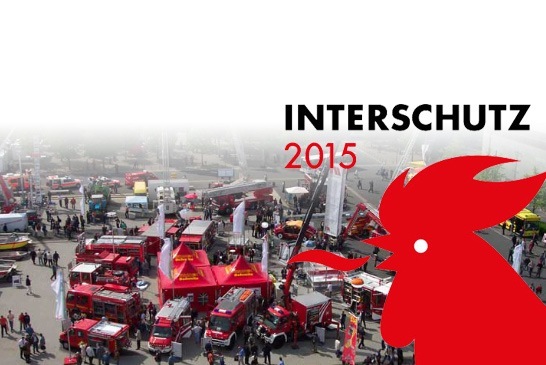 Fire fighting, disaster relief and rescue: these are the main pillars of INTERSCHUTZ 2015. This flagship fair not only boasts a rich tradition in firefighting, but for many years has also been covering a whole lot more ground. Fire Fighting – All methods of firefighting rely on starving the fire of one or more of the three things it needs in order to keep going – heat, oxygen and combustible material. In that sense, nothing has changed since the days of Ancient Egypt. What has changed is that modern firefighters are a lot more systematic in the way the go about their job. They don’t just eliminate the immediate danger; they keep a watchful eye on downstream risk and damage as well. Consequently, modern fire call-outs are a lot less spectacular than in the past. That’s because speed is not the only requirement; getting fires under control also calls for careful consideration – a measured approach that may sometimes appear slower and more deliberate, but which gets the job done more effectively. Discover for yourself just how effective today’s fire-extinguishing technology can be at INTERSCHUTZ 2015. In halls 13 and 27 and on the open-air site, fire protection specialists from over 40 nations will showcase their innovations and world-firsts in fire protection and firefighting technology. Disaster Relief – At INTERSCHUTZ 2015, visitors will be able to witness the latest disaster relief and management technologies innovations first-hand. Disaster management mobilisations like these pose major logistical as well as technical challenges. Solutions for meeting those challenges – everything from rugged water purification equipment to innovative software for managing and coordinating disaster relief efforts – will be on show in the Disaster Relief display areas in Hall 26 and on the open-air site at INTERSCHUTZ 2015. Rescue – Rescue professionals, manufacturers of vehicles and medical equipment, and paramedics will be presenting the latest and greatest of these in Hall 26 and on the open-air site at INTERSCHUTZ 2015. In the emergency and rescue services, speed is obviously very important, but so too is having properly qualified and equipped personnel. 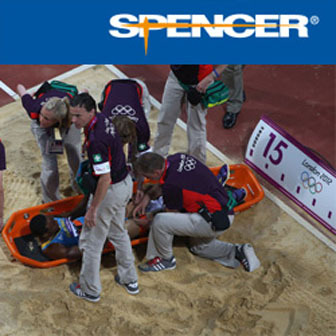 Emergency and rescue professionals work closely with manufacturers of medical equipment and vehicles to continually optimize the care and service provided by first responders. At INTERSCHUTZ 2015, they will showcase their latest results. The exciting contest for the prestigious “Toughest Firefighter” title is back again in 2015. And this time we are looking for the world champion. Preparations are already in high gear.